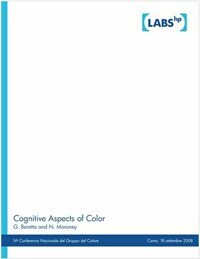 From the paper mentioned in my post of 2 December we know that color categorization is probably mediated by language, which is what is meant by the statement "a form of categorical perception that is lexically influenced." The next problem is how to deal with the ephemerality of language. Languages are in constant evolution (well, maybe with the exception on French, where bytes are still called octets). For example, in Japanese the katakana script that was originally used for bureaucratic and male writing, has been repurposed to write words of foreign origin — and how many foreign words there are! Look at something as common as milk, which used to be 牛乳 (ぎゅうにゅう, gyuunyuu) but now is simply ミルク (miruku). The ordinate is the frequency of occurrence for the name of the Munsell hue in the abscissa. Note how オレンジ (orenji) is more frequent than 橙 (ダイダイ, daidai) and ピンク (pinku) is more frequent than 桃色 (ももいろ, momoiro). 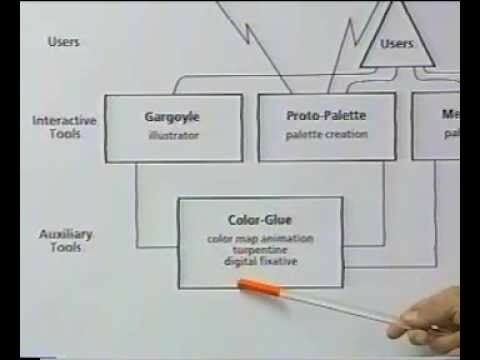 Did you know the color name Arsigont? 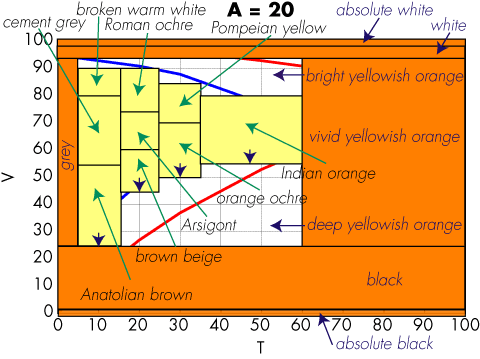 Did you know the difference between Pompeian yellow and Indian orange? This is not a problem of the Coloroid system. Consult any color name compilation older than a few years, and you will find names that look unfamiliar. For example, a decade ago teal was all the rage in Palo Alto and all home decoration stores were selling many items in this color. Today, people hardly remember its appearance. So, how do we deal with the ephemerality of language? Obviously a printed leather-bound collector's edition of a color dictionary is not the ticket. The ephemerality of a blog tool post is more like it. 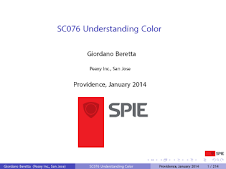 But color names are very hard to collect, we cannot start from scratch every few months. 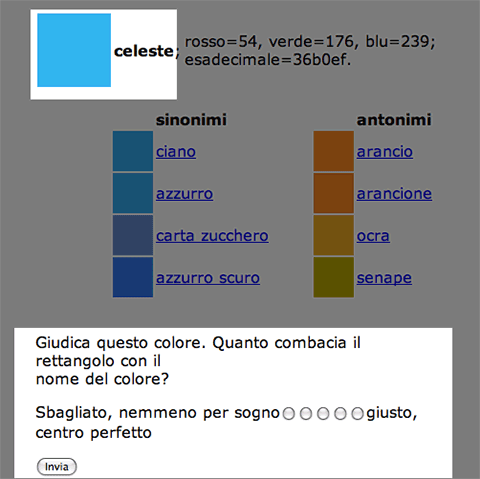 This is why in the Italian version of his color thesaurus, Nathan included a mechanism to rate the pairing of the color name with the displayed color. 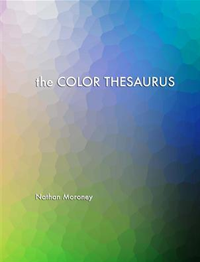 As names fade, they get rated worse and by using the rating in the creation of the thesaurus, a more contemporary color name will emerge to label that color.